A year has nearly passed and the next Anteprime Toscane is coming up: the Chianti Classico Collection will take place as always on Monday and Tuesday of the Anteprime week, at Stazione Leopolda in Florence. Less than two weeks away, but the Consorzio has as always been actively working towards it for months. Not everyone knows that the Consorzio del Chianti Classico is the oldest in Italy and that it was created to protect Chianti wine and its territory. Chianti wine, known and appreciated for centuries, was protected as early as 1716 by Cosimo III, Grand Duke of Tuscany, who issued a proclamation establishing the confines within which this wine could be produced. This is the first historic legal document instituting a wine production area. Chianti wine became so important and famous that the winemakers producing it decided to unite to defend it. Two centuries after the initial proclamation, on 14 May 1924, a group of 33 producers met in Radda in Chianti and formed the Consortium for the defense of Chianti wine and of its brand of origin [Consorzio per la difesa del vino Chianti e della sua marca d’origine]. The symbol chosen at that time was the Black Rooster, the historic symbol of the Chianti Military League, founded in the14th-century. 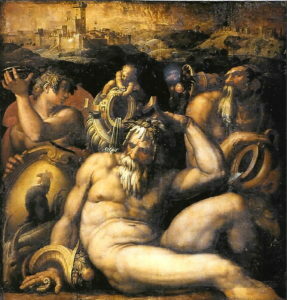 This symbol had been painted by Giorgio Vasari on the ceiling of the Salone dei Cinquecento in Palazzo Vecchio in Florence. And in Vasari’s work, named Allegoria del Chianti, besides the Black Rooster, there are the three historic Chianti wine areas, or terzieri: Radda, Castellina, and Brolio Castle representing the lesser-known Gaiole. Besides the Castle in the work by Vasari, it should be remembered that the grandfather of our current President, Francesco Ricasoli, was present at the moment of creating the Consortium. As can be seen in the records signed by the Notary Public on 14 May 1924, Baron Luigi Ricasoli was among the founders. The term Classico was added only in 1967, to identify the Chianti Classico territory – and wine – because the wine from those areas had become so famous that it was being produced in other areas of Tuscany. But the oldest historic area where everything had begun had to be protected, as we explained above. Therefore today there are two distinct areas with separate Consortia, that of the Chianti and that of the Chianti Classico. 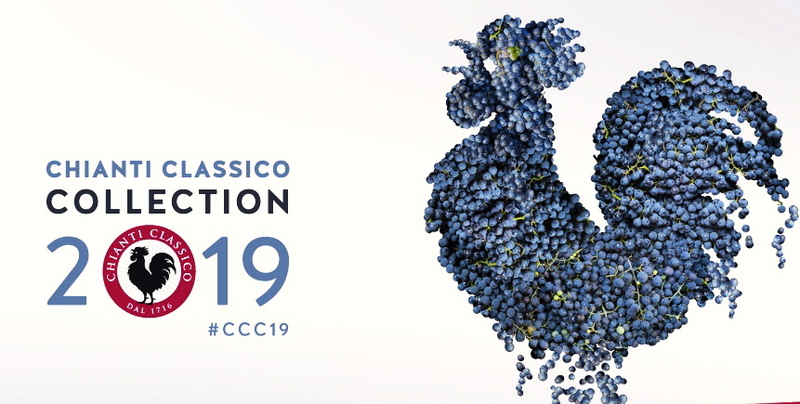 The Chianti Classico Consortium continues to work towards the same ends as always, to protect, preserve and uphold the prestige of this famous wine. We look forward to seeing you at the Chianti Classico Collection this year. Don’t forget to read next Thursday’s post for other interesting details about the birth of the Chianti Classico formula in the hands of Bettino Ricasoli, not to mention all the 2019 updates regarding Monday 11 and Tuesday 12 at the Leopolda.